*** CASH PRICE ONLY, $1000 REBATE FOR CASH BUYERS. CALL FOR GREAT LEASE AND FINANCE RATES *** The Get-Out-There SUV. Equal parts sport and utility. 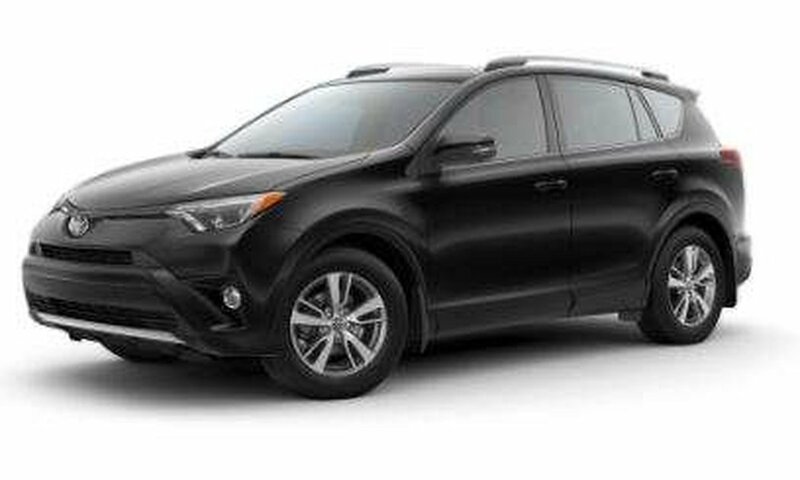 Whether you decide on the 2018 RAV4 or the 2018 RAV4 Hybrid, it’s the well-equipped, sharp-looking, and impressively athletic choice. This front wheel drive XLE will give you plenty of valuable features to enjoy while keeping your fuel efficiency at a great rating as well! Alloy wheels, Toyota Safety SenseTM P which includes a pre-collision system, lane departure alert, automatic high beams and dynamic radar cruise control. 176-hp, 2.5L, 4-cyl, Dual VVT-i Engine, 6.1 inch Touchscreen Display Audio System with Bluetooth®, Backup Camera and SIRI Eyes Free, Premium Fabric Heated Front Sport Seats, Power Moonroof, Blind Spot Monitor with Rear Cross-Traffic alert, Dual Zone Automatic Climate Control, Heated Steering wheel, 5 passenger seating with a 60/40 fold down rear seat back there is plenty of cargo space available and room for the family. Call our RAV4 experts today! Collingwood Toyota can provide you with any new vehicle from our model lineup and we do not have any administration fees on new vehicle purchases. Ask about the other value added services we provide with our More For You Advantage on new vehicle purchases. All vehicles come with a complimentary full tank of gas and more! Corolla, Camry, Prius, Tacoma, Tundra, Highlander, Sienna, Rav4, Toyota 86, Corolla IM, Yaris and more. If you do not see what you are looking for, do not hesitate to call, as we can get it for you! We believe in building lasting relationships by providing guidance and fair deals. The Lockharts have been providing high quality customer service experiences in the automotive industry for 70 years. Licensing and taxes are additional fees. Rebates may apply in pricing. Call for great finance and lease rates. Some vehicle requests may require factory order or dealer trade. New and Used Toyota Cars, Trucks, SUVs in Collingwood, ON. Buy a New or Used Toyota today!